The FAME India II scheme to be inaugurated on September 7, 2018 and will be used to provide subsidies to all types of EVs. As per a report by PTI, the second phase of the FAME India scheme will be launched on September 7, 2018 and will come in effect from October 1, 2018. According to officials the inauguration will be done by Prime Minister Narendra Modi. Under Phase II of the initiative, the government has earmarked a budget of ₹ 5500 crore to be used over the next five years and will be used to provide subsidies to all types of electric vehicles. The modalities of the scheme have been finalised by an inter-ministerial panel and will be placed before the Union Cabinet for approval soon. The prime minister will be introducing FAME II at the inaugural session of the MOVE – global mobility summit in Delhi, that will also have several global CEOs of the automotive sector in attendance, as per the report. 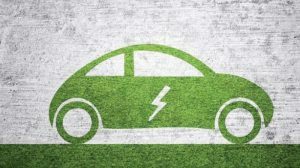 FAME II will offer subsidies to all categories of electric vehicles including two-wheelers, three-wheelers, as well as four-wheelers including taxis, as well as electric buses. Under FAME I, electric and hybrid vehicles including cars, two-wheelers and three-wheelers are covered. However, strong hybrid vehicles that were entitled to incentives in phase I, will not be able to avail benefits in the second phase.